For a short time as a limited edition, Seasonal Sensations has brought back its 6′ Legacy Bubble Tree. 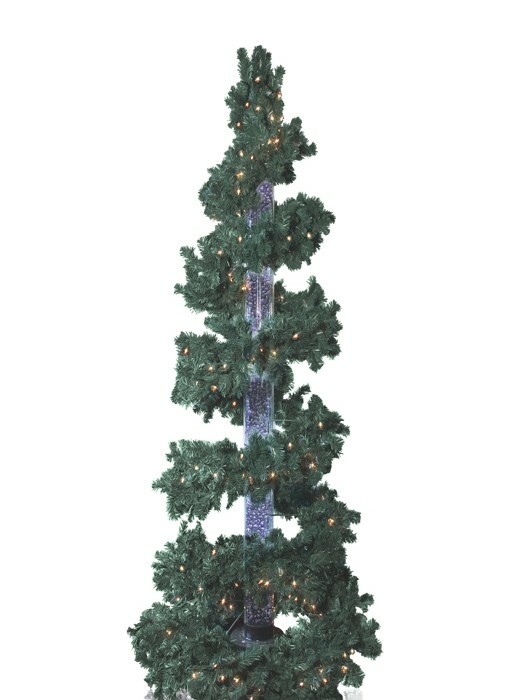 Buy Seasonal Sensations very first LED based Bubble Tree. Enjoy rich thick foliage surrounding a color-changing bubbling trunk. This tree stands 6.5 feet tall and boasts a large presence with a thinner spiral profile. The trunk of the tree can rotate between 4 colors: red, green, blue and clear. The tree trunk can also be set to just one of these colors. The tree will only be available at this discounted price for a limited time. Hurry to get yours today. The tree consists of only three pieces to setup, a trunk, foliage and base (already included). No need to buy a base for this one of a kind tree. LED light technology enhances the illuminated, water-filled trunk with 4 colors to choose from: Red, Green, Blue and Clear. 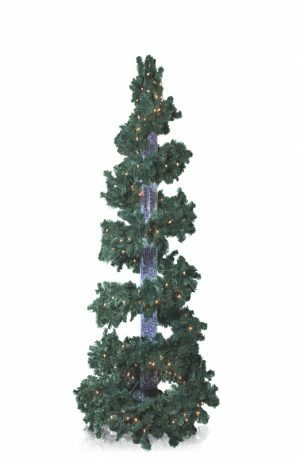 Easy to set up and take down, 3 sections include; base, trunk and foliage, no additional base is required. Mini-lights on pre-lit foliage makes decorating easy! Great for the holiday decor and year round occasions. Great for corporate offices and homes. Unique spiral shaped design creates more trunk visibility.